FELICIDADES a los graduados de verano! Muchas felicidades a los graduados emprendedores y dueños de negocio! 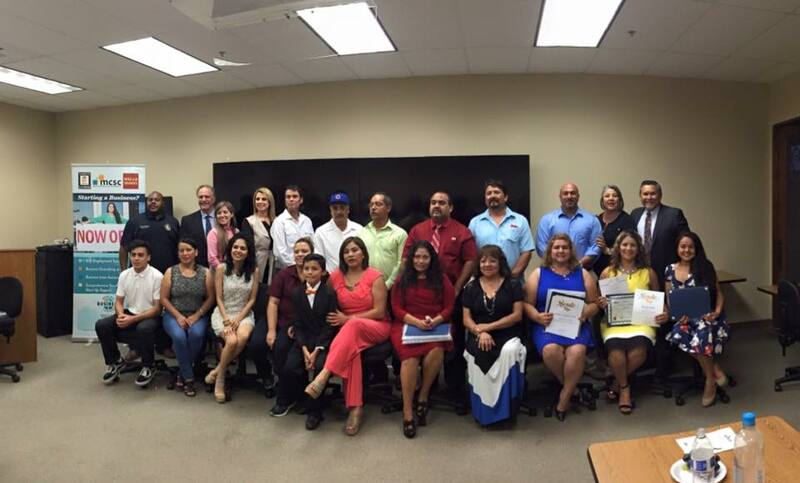 Congratulations to Our New Kern County Entrepreneurs! Graduating another Empezando class of entrepreneurs. This 10 week course lays a strong foundation with the goal and on going support for long term sustainability. 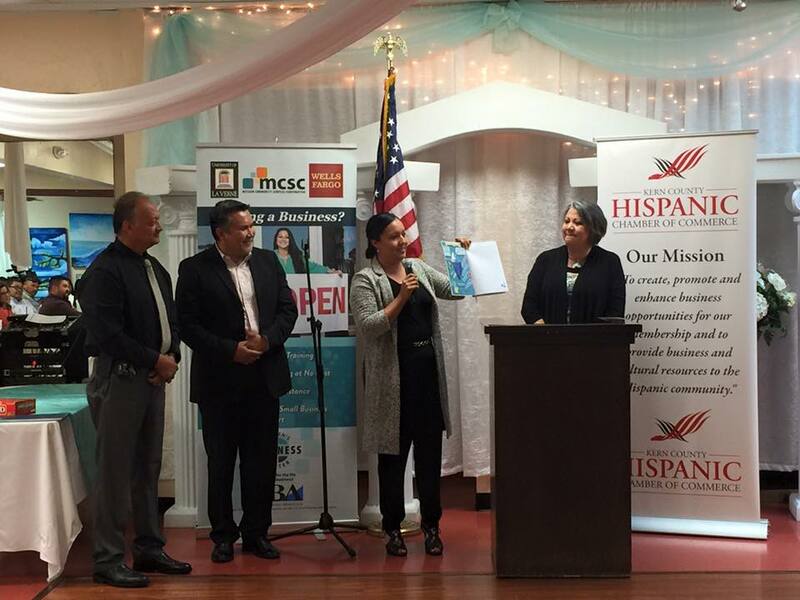 Thank you Alice Juarez, Vice President Regional Banking Area President and Gabriela Mello, Wells Fargo team, Clarissa Vivian, Economic Issues Division-Mexican Consulate, Michael Bowers, Senator Andy Vidak, Senior District Representative. Chuck Jehle, Clarita Hidalgo de Portillo, Jesse Portillo. 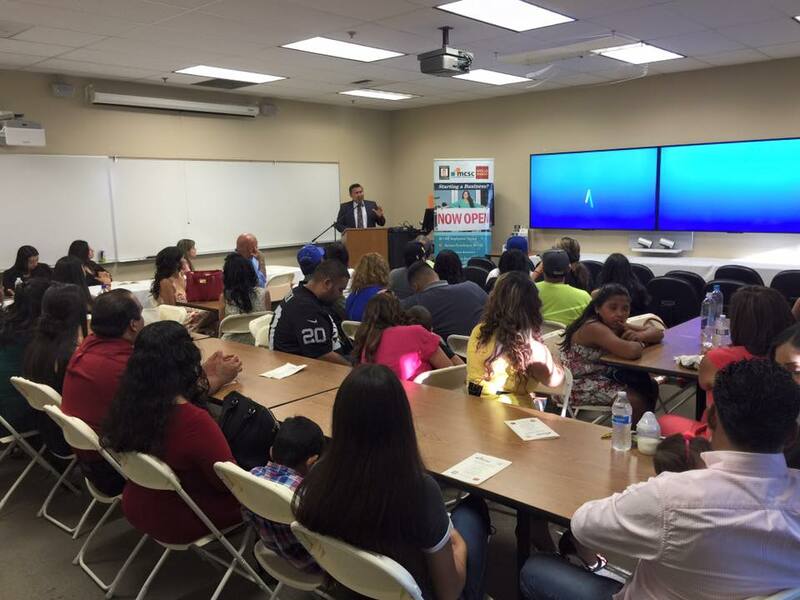 A partnership strengthening Kern County through education. Congratulations to our graduates in Bakersfield. This Monday we graduated 33 new entrepreneurs. It was another great celebration and we are very excited to see where they take their businesses. Watch out from some great success stories from these students! On Thursday, May 5th, 2016 Mission Community Services and the Women's Business Center attended the 5th Annual Kern County Small Business week Luncheon in honor of National Small Business Week. This event was particularly special for MCSC as we were presented with the Women's Business Center of the Year Award for our district. What an honor! We were also able to support one of our graduates of our Empezando Business Academy class as she received the award for Women's Owned Business of the Year award. Congratulations Gabriela Murgia on this amazing accomplishment! Grand Opening of La Casa de la Musica y el Arte! Congratulations to Ricardo Santamaria on the opening of "La Casa de La Musica Y El Arte". Such a great start in your vision. We wish you all the success in the world! Thanks to all who came out for another successful Lunch & Learn. This month we had women entrepreneurs learning how to be better sellers and public speakers. 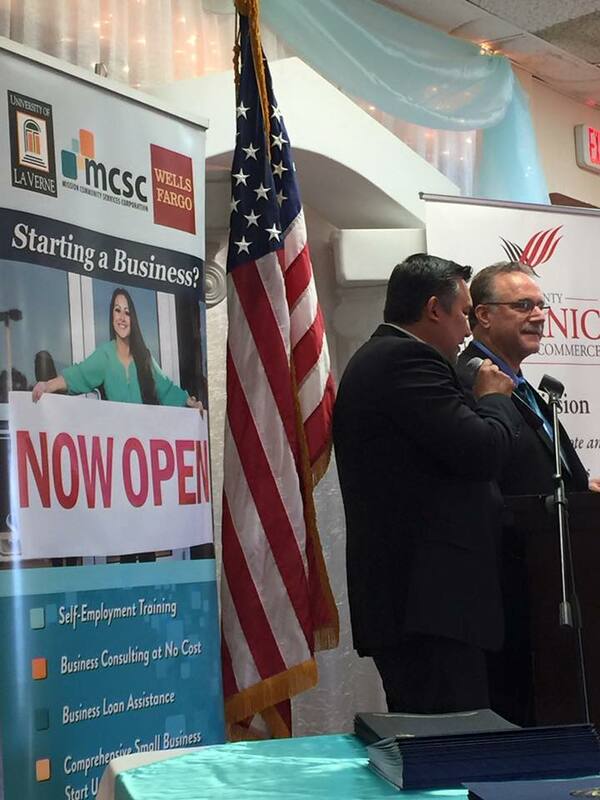 Great Day for MCSC & The Women's Business Center in Bakersfield! What a great day for Mission Community Services and the Women's Business Center and our support efforts in Kern County. From Bright House check presentation, City of Bakersfield grant meeting, to a meeting with national Wells Fargo leadership that included a tour of a facility of one of our many success stories. This individual graduated from our 'Empezando' (Start, Run, Grow) class sponsored by Wells Fargo. In 1 1/2 years she opened up 2 distribution warehouses, has 2 delivery trucks, expanded her employee base, and reached sales of 1.2 million. Walking thru her warehouse as she expressed gratitude and gave credit of her success to Clarita Hidalgo de Portillo and Jesse Portillo (instructors of our class), MCSC, Wells Fargo, and University of La Verne for the support system, confirmed we are strengthening our economy thru collaboration and education. Thanks to all involved! Empezando Business Academy Graduates 30 New Entrepreneurs! On March 16th, thirty students successfully completed a 10-week Empezando, Business Academy Course and received their graduation certificates. We are proud of each and every one of them. Congratulations from the staff and Board of Directors of MCSC! We would like to thank Wells Fargo, University of La Verne, Kern County Hispanic Chamber of Commerce for helping to make this possible. We would also like to give a special thanks to our class instructors, Jesse and Clarita Portillo, who put a lot of time and energy in teaching these courses!